After the latest round of fixtures, every club has now reached the halfway point in the Premier League season. Here, we take a look at the teams struggling in positions 20-16. Summer Signings: Paul Clement’s summer signings have proven to be nothing short of a disaster. He received heavy praise for the ‘coup’ of Renato Sanches from Bayern Munich, but the Portuguese international has performed abysmally. Wilfried Bony has been unable to find form or fitness, while Sam Clucas doesn’t know his strongest position. Though Roque Mesa and Tammy Abraham have showed promise, it’s not enough for a team in Swansea’s position. What’s gone wrong: Quite simply, Swansea can’t score goals. Having sold Gylfi Sigurdsson and Fernando Llorente (their highest scorers last season) over the summer, Clement needed to replace their goals, and hasn’t been able to. 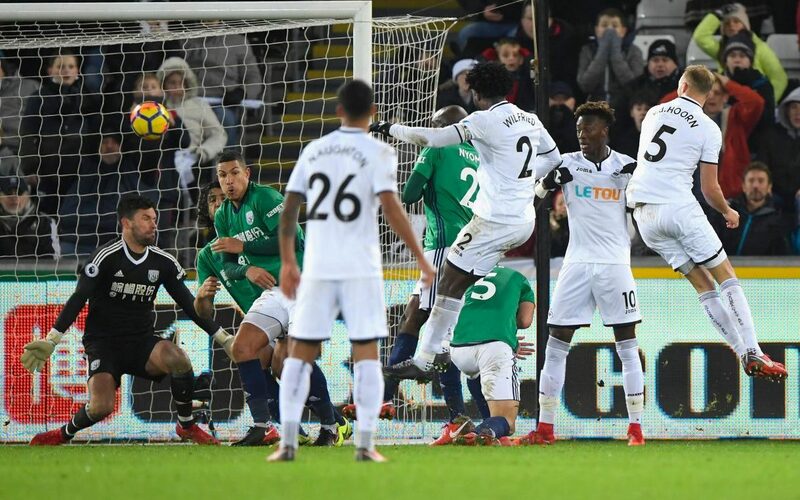 Reasons to be cheerful: For two years running, the Swans have got out of a relegation battle, which will provide the fans at the Liberty much encouragement. Also, Swansea are pretty solid defensively despite their issues going forward, unlike some of their competitors. If they can recruit well, they don’t seem far away from a competitive side. Reinforcements? : Vital. A winger, attacking midfielder, and right-back all seem essential if Swansea are to retain Premier League status. A new manager would help as well, needless to say. Prediction: Sadly, it doesn’t look as if the Swans will be able to get themselves out of this mess, though a new manager should see them fight harder. 19th. Summer Signings: West Brom recruited heavily in the summer, bringing in Keiran Gibbs, Gregorz Krychowiak, Gareth Barry, Ahmed Hegazi, Oliver Burke and Jay Rodriguez. Barry and Krychowiak are too similar to work in tandem, though Gibbs and Hegazi have shored up a defence which didn’t need to be shored up. Burke and Rodriquez have both been ineffective in a struggling attack, but the winger signed from Leipzig looked electric, if a little raw, against Manchester United. What’s gone wrong: Though they possess a fairly solid defence, they haven’t scored enough goals. Tony Pulis’ system at the beginning of the season brought about heavy criticism from the fans, and Alan Pardew is yet to see a trademark upturn in results. Reasons to be cheerful: West Brom have enough quality and industry amongst them to go down, one would think, but Pardew needs to sort it out quickly, starting with some new recruits. Reinforcements? : An attacking midfielder wouldn’t go amiss, and neither would a prolific winger. If Jonny Evans departs (as seems likely), he must be replaced with someone of similar quality, or the money should be spent elsewhere. Prediction: Experience in key areas of the field is always vital, and Alan Pardew has proven himself to be a good short term manager. They can get out of this – 17th. Summer Signings: There are questions around Eddie Howe’s recruitment skills, and those fears have been proven to be correct so far this season. Jermain Defoe has scored just three goals since his arrival from Sunderland, and Howe overpaid on Nathan Ake. Asmir Begovic has been steady in goal. What’s gone wrong: Joshua King, who was prolific last season, has struggled to combine with Jermain Defoe, and thus Bournemouth are among the League’s lowest scorers. This likely stems from a flimsy midfield – they struggle to create chances. Reasons to be cheerful: There’s so much pace and ability in their strikeforce of King, Defoe and Wilson that their attacking woes shouldn’t continue with help from their wingers. Reinforcements? : An attacking central midfielder would help their cause, and Eddie Howe could do with another winger. Prediction: The warning signs are clear, and Howe spent heavily in the summer. Is there any money to spend on new players in January? If not, Bournemouth may well stay in 18th. Summer Signings: Marko Arnautovic has been revitalised under David Moyes, but Javier Hernandez and Pablo Zabaleta haven’t quite had the desired effect. Hernandez has scored just four times, while Joe Hart has been dropped in goal after being behind a horrendous defence. What’s gone wrong: Defensively, West Ham have been abysmal, having conceded 35 goals already this season. The Hammers weren’t fit enough as a team when Slaven Bilic was manager, but that’s begun to change under Moyes. 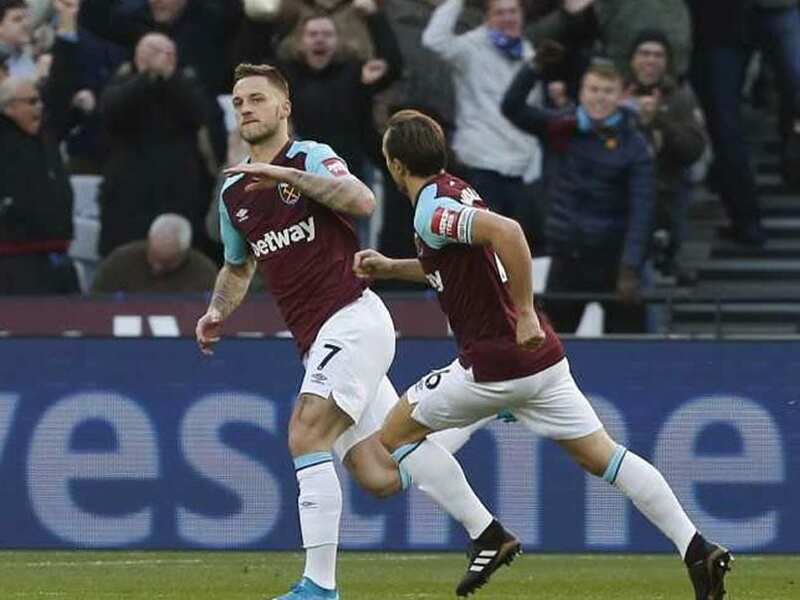 Reasons to be cheerful: Moyes has improved the team no end since his arrival, and West Ham possess some very gifted players, especially going forward. Reinforcements? : West Ham still have an incredibly leaky defence, so a centre back would be well received. The Hammers can also be overrun too easily in midfield, and Kouyate and Obiang are both liabilities. Prediction: Despite their recent upturn, it feels like a short term bounce. They should have enough to stay afloat, especially given their quality in attack. I’d be surprised if they ventured further up the table than 16th. Summer Signings: Frank de Boer completed some shrewd signings in his short tenure – Mamadou Sakho has helped a decent defence. The loan signings of Ruben Loftus-Cheek and Timothy Fosu-Mensah have also worked well. What’s gone wrong: Under de Boer, Palace were abysmal. Four league games under his stewardship, no goals and little promise. They’ve slowly improved with Roy Hodgson though, but still don’t score too many goals, and lack squad depth. Reasons to be cheerful: Their poor goal scoring statistics are dragged down by such a terrible start to the season, and possess a very strong attack – Townsend, Zaha and Benteke are all strong and fast. Chairman Steve Parish realised his mistake in hiring de Boer early, and acted upon this suspicion. Reinforcements? : Palace could do with some attacking depth, especially a spare striker. Zaha isn’t the same player when he deputises for Benteke up front. Prediction: 12th. Palace have a good manager, a strong starting XI, and Selhurst Park is an intimidating atmosphere. It wouldn’t take much to see them progress up the table.